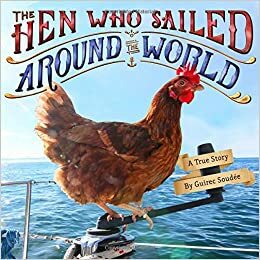 Summary: When Guirec Soudee decided to sail around the world, he brought with him a chicken named Monique. Even though he was told that Monique would hate ship life and wouldn’t lay eggs, she proved to be an adventurous sailor who produced over 1,000 eggs during their journey. The two of them became the first solo sailor and first chicken to travel the Northwest Passage over Canada. 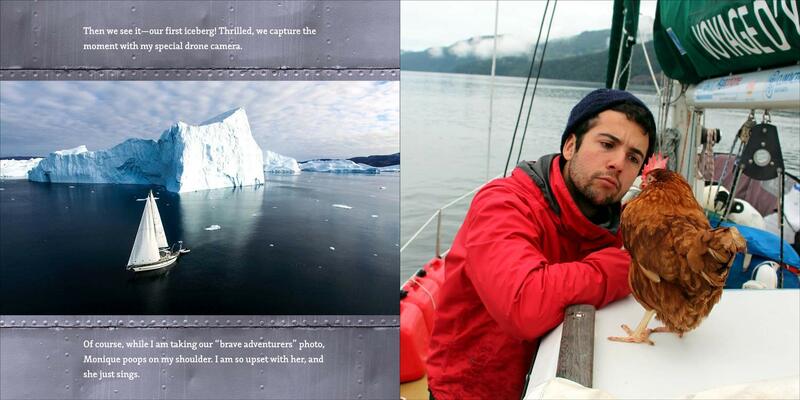 It took them over three years, including a 130-day layover with the ship frozen in ice. After traveling 17,500 miles, they decided it was time for a break, but both Guirec and Monique are certain they will be starting a new voyage soon. Includes a map of the trip with additional photos. 40 pages; grades K-3. Pros: This was one of the most fun books I read this year. Guirec has a dry sense of humor and I could almost hear his French accent. Monique is nothing if not an intrepid explorer; my favorite photo shows her in the snow wearing a coat made from two of Guirec’s gloves. Guirec mentions his drone camera, and there are some pretty cool aerial views of the ship traveling through the ice. Cons: A little more of an introduction, maybe with a map at the beginning instead of the end, would have helped get readers oriented to what was going on. < Previous Dragons In a Bag by Zetta Elliott, illustrated by Geneva B.